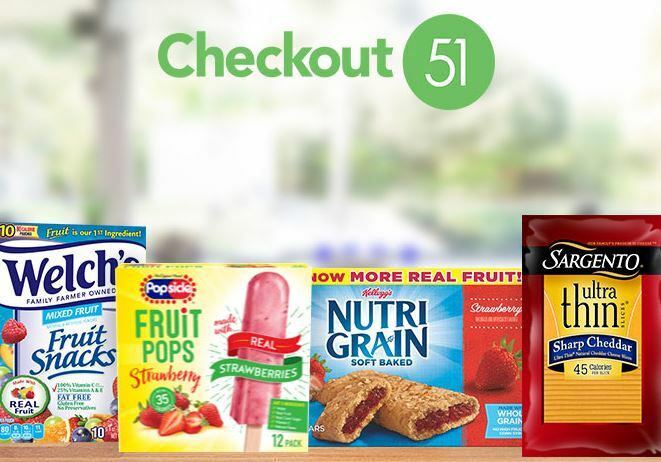 Here is this week’s Sneak Peek at Checkout 51’s new offers which will go live Thursday, July 5th and expire on Wednesday, July 11th. There are many returning from last week but if you enjoyed these offers you can do them again with a new receipt! The following Checkout 51 list represents offers that the majority of members will see but keep in mind, some offers may vary per user. If you are not familiar with Checkout 51, this FREE app is a fast and easy way to earn cash back on in-store purchases and you do not need to have a smartphone to take advantage. Just go here and sign up and go HERE to read more about how it works. Key points to remember: A quantity of (1) of each offer is eligible for cash back per member • Each receipt can only be used once • Offers are available in limited quantities so check your offer list before you go to see if it’s still available, and upload the receipt immediately after purchase to avoid disappointment • You are permitted to use Checkout 51 cash back offers with any other coupon or discount unless otherwise stated • Members must buy the products in the United States and submit the receipts while the offers are live. For more details, you can –read my post HERE.